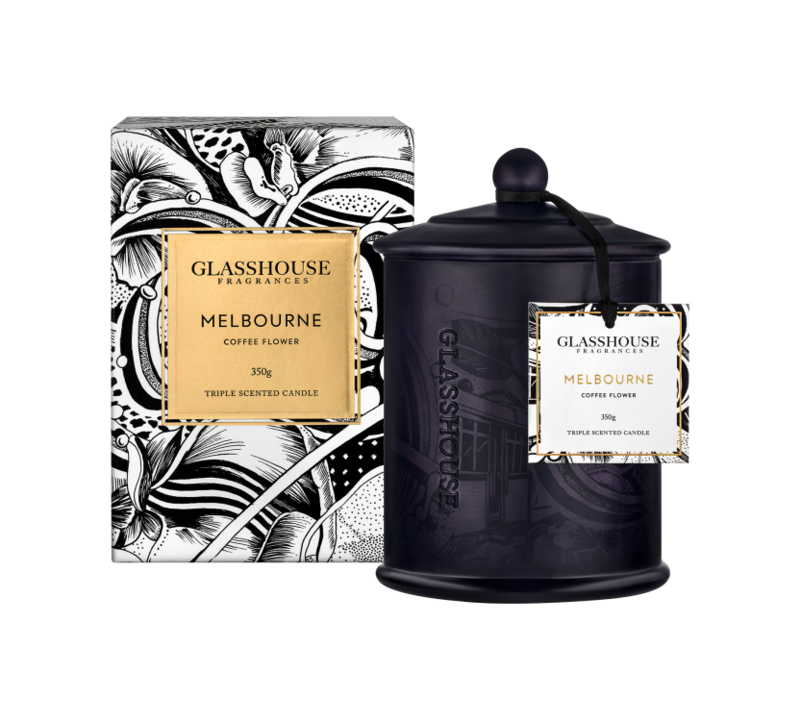 Introducing Melbourne, a limited edition collaboration of fragrance & vision between Glasshouse & Australian artist, Gemma O’Brien. The fragrance boasts rich notes of coffee flower & black vanilla, celebrating the dynamic yet cosmopolitan centre & its renowned coffee culture. Notes of sandalwood draw you in further still, over rooftops, down narrow laneways & into the pulsing heart of the city. Top: Acacia, Neroli, Orange Flower. Middle: Coffee Flower, Jasmine, White Floral.